A robot basketball player is taking the internet by storm after video of it sinking a three-pointer was posted online. The Golden State Warriors became the first team in the Western Conference to clinch a play-off spot with a 110-88 win over the Oklahoma City Thunder. A masterclass from Giannis Antetokounmpo helped Milwaukee overturn a 20-point half-time deficit as the Bucks powered to 113-98 victory over the Miami Heat. A nine-year-old girl who wrote to Steph Curry to question why his signature shoes weren’t available for girls has had a hand in designing the star’s latest trainers. Stephen Curry was the fourth-quarter hero as the Golden State Warriors claimed an 11th straight road win at Phoenix Suns. Nikola Jokic created a truly remarkable climax to his Denver Nuggets side’s important match in the NBA, but one moment of inspiration sadly didn’t count. A Dundee coach has been recognised for her dedication to wheelchair basketball after she was named sportscotland’s Young Coach of the Year. Dundee Madsons aim to launch a new and innovative programme to get more girls into basketball. A Dundee basketball club has made a dream come true for a young disabled Irish girl. Tayside basketball star Gareth Murray shot Scotland to the final four of the commonwealth games with a match-winning performance in their 66-61 victory against Nigeria. A basketball-throwing robot has been created by a group of Toyota engineers in their spare time. Ben Leitch is continuing to prove he is one of Scotland’s bravest sporting youngsters. Members of a university men’s basketball team have been suspended and fined after players circulated naked pictures of women. 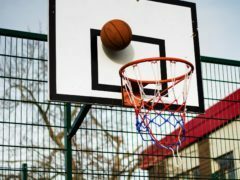 Members of Dundee University Men’s Basketball Club have been suspended amid claims players circulated naked pictures of women without their knowledge. 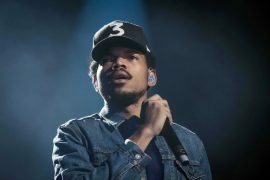 Chance the Rapper found himself the subject of an entirely superfluous caption when he appeared on the big screen during a basketball game at Madison Square Garden.